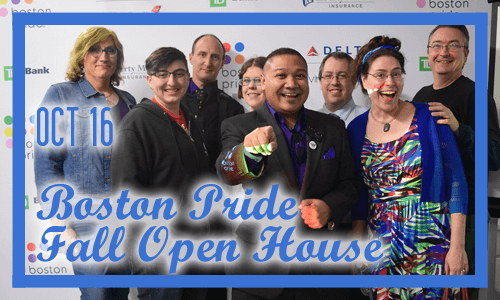 Boston Pride is delighted to announce that our 2018 Fall Open House will be held on October 16th, starting at 6:30pm at the Boston Pride office, 12 Channel St #503, Boston, MA. This event will include the reveal of the 2018 Boston Pride Parade awards and more! Check back regularly online as the program grows.